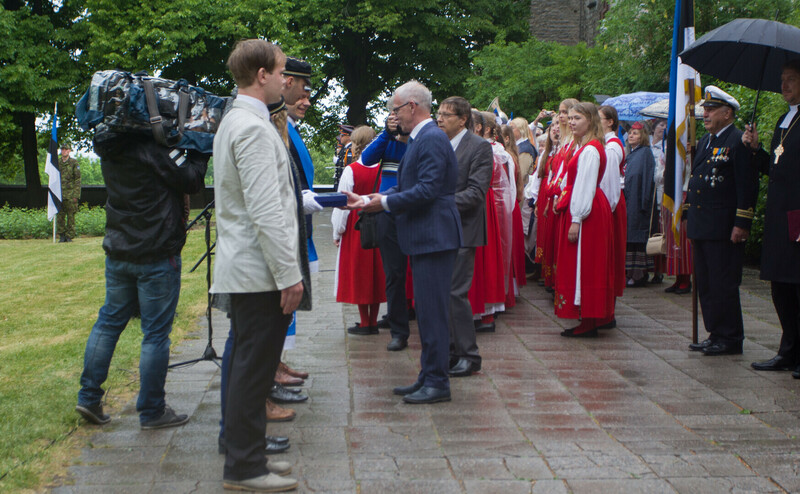 Monday morning saw a flag-raising ceremony in Tallinn marking the 134th anniversary of the consecration of the original Estonian flag. 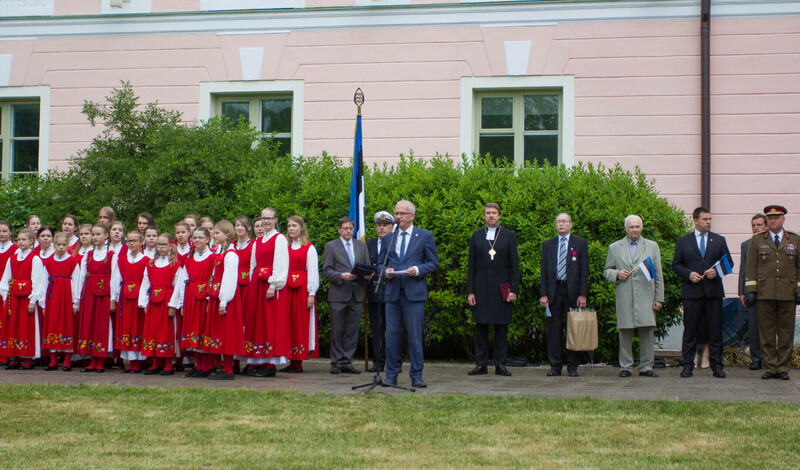 The ceremony, held in the Governor's Garden on Toompea Hill, in the shadow of Tallinn's Tall Hermann tower, was attended by President of the Riigikogu Eiki Nestor (SDE) and Estonian Flag Association director Jüri Trei, who both made speeches, with Archbishop of the Estonian Evangelical Lutheran Church (EELK) Urmas Viilma giving a blessing. 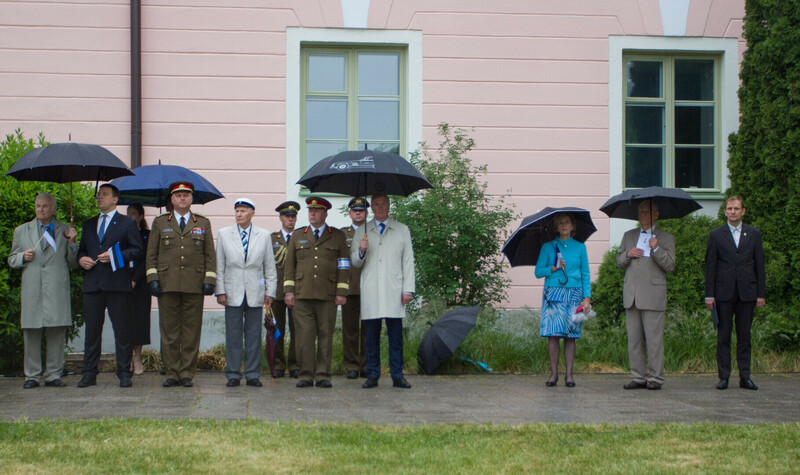 Other attendees included Prime Minister Jüri Ratas (Centre) and former President Arnold Rüütel. 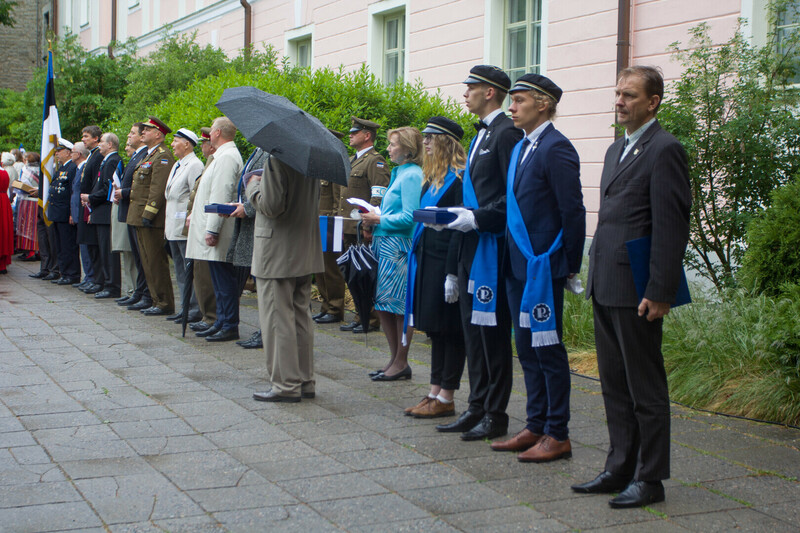 The flag was raised at 07:00 EEST, accompanied by the playing of the national anthem by the orchestra of the Estonian Defence Forces (EDF), and was conducted by a team including representatives of Tallinn Secondary School of Science and the General Johan Laidoner Society. 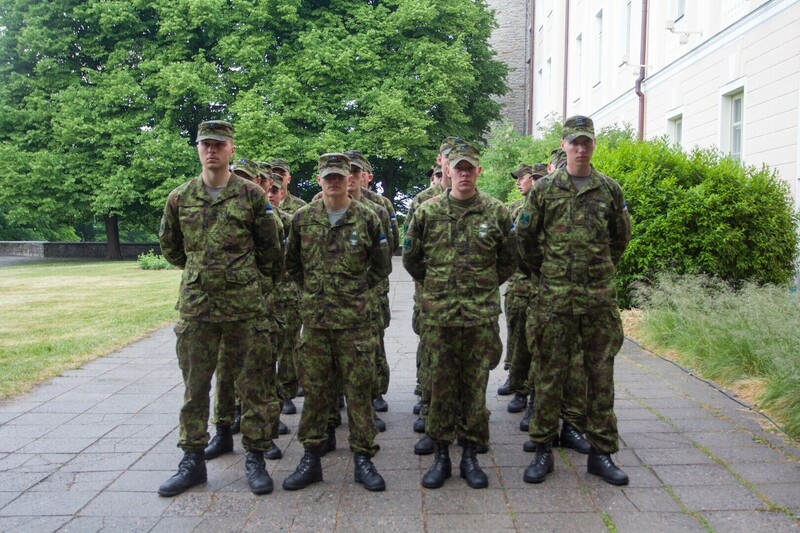 Other representatives present included those from the Estonian Defence League (EDL), the Women's Vountary Defence Organization, the Guard Battalion, the Young Eagles, the Home Daughters, the Scouts, Guides and various academic organizations, together with several flag-raising societies including those from schools. 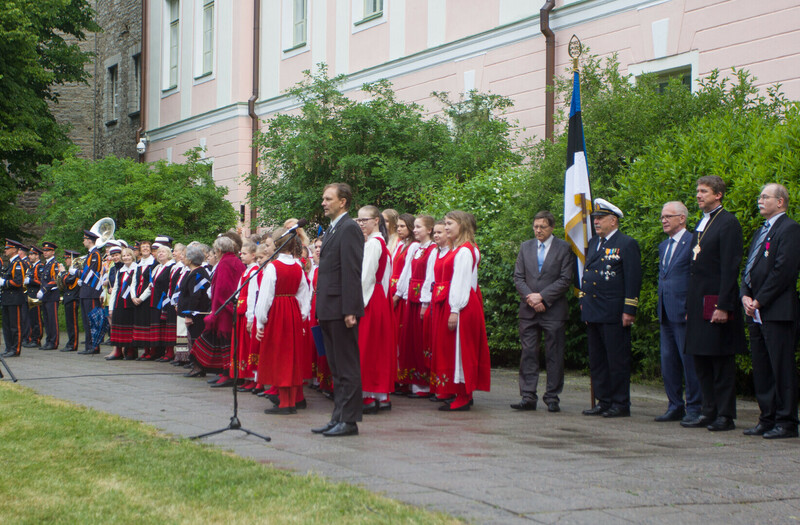 Accompanying the Orchestra of the Estonian Defence Forces were choirs from the Estonian Women's Song Society who sang the "Hoia, Jumal, Eestit" ("God Save Estonia") and "Eesti lipp" ("Flag of Estonia"). 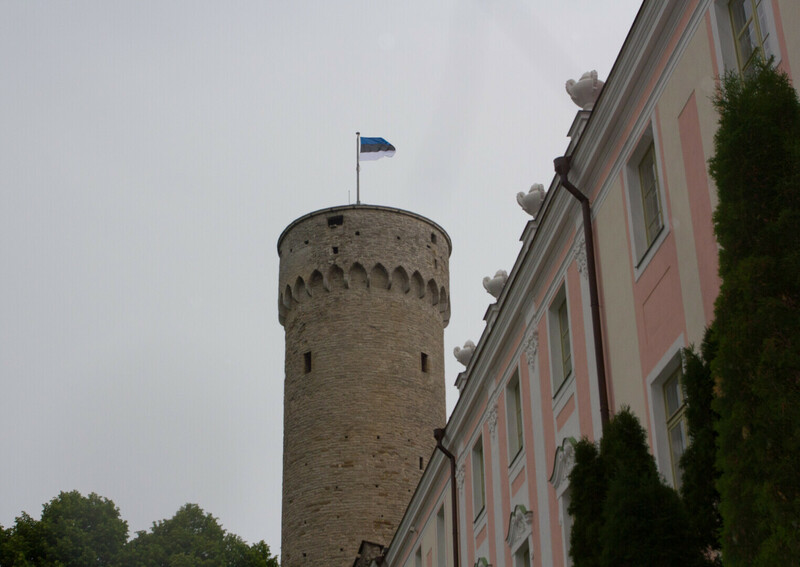 The Estonian flag has also been raised over all state and local government buildings as well as courts and other public legal buildings. 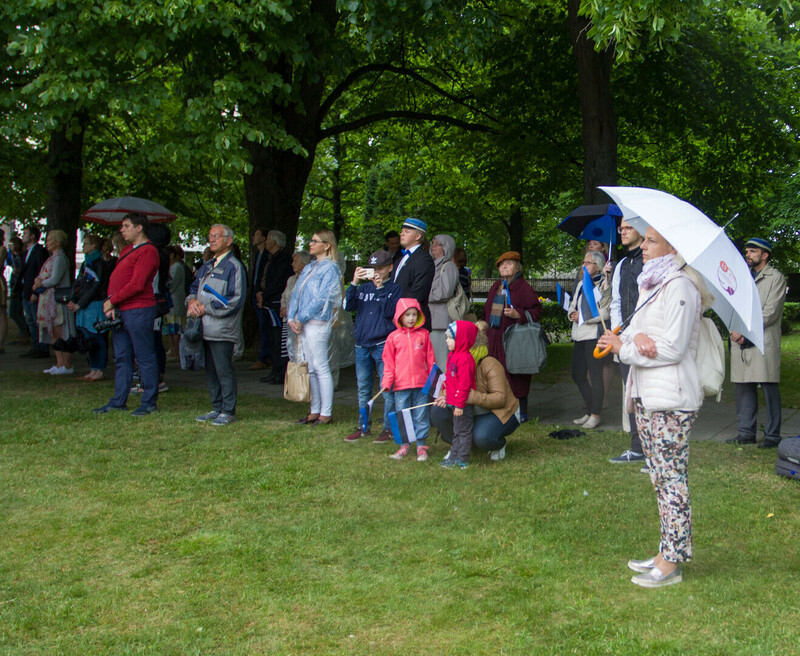 Tall Hermann tower will be open free to the public on Monday from 14.00 to 19.00. 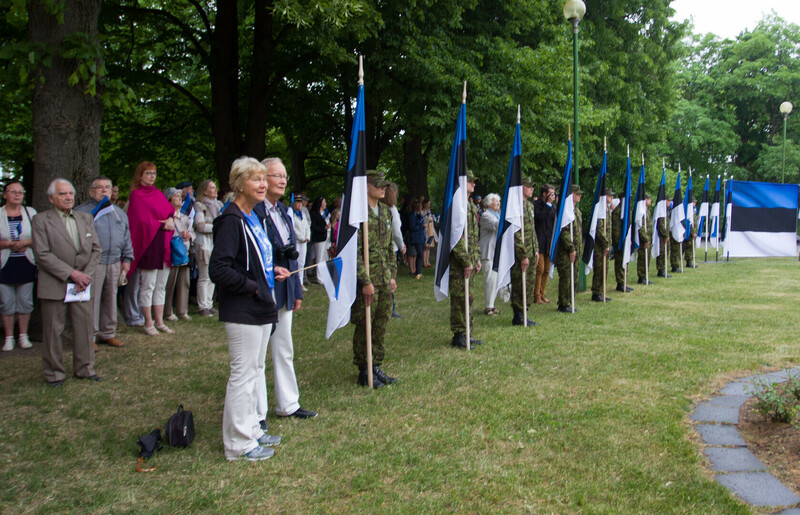 The Estonian flag was originally consecrated as the flag of the Estonian Student's Society (EÜS) at a secret ceremony at St Mary's Lutheran Church in the Southern Estonian town of Otepää on 4 June, 1884. 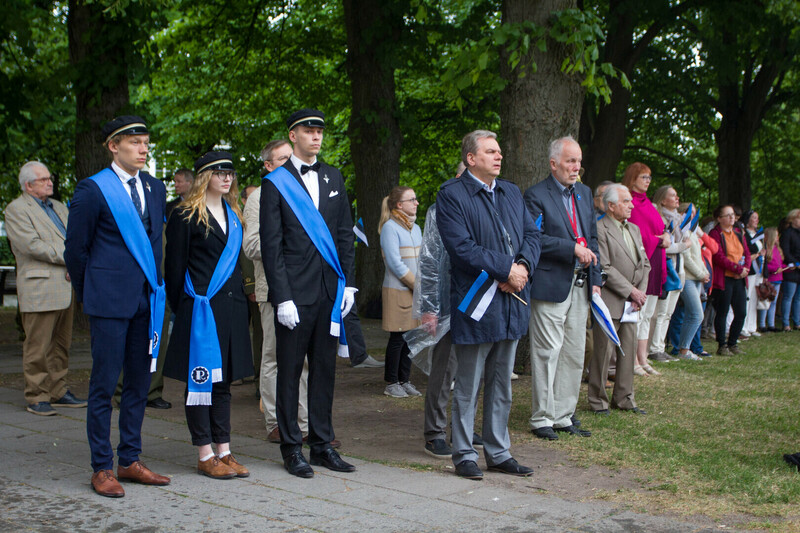 EÜS' colour combination of blue, black and white had first made their appearance a couple of years earlier in Tartu, but had not been officially approved by the umbrella organization governing ruling local Baltic-German fraternities at the time. In November 1918, the tricolor, which had seen increasing use as a symbol of Estonia, was finally officially adopted as the official flag of the Republic of Estonia, which had declared independence in February of that year. 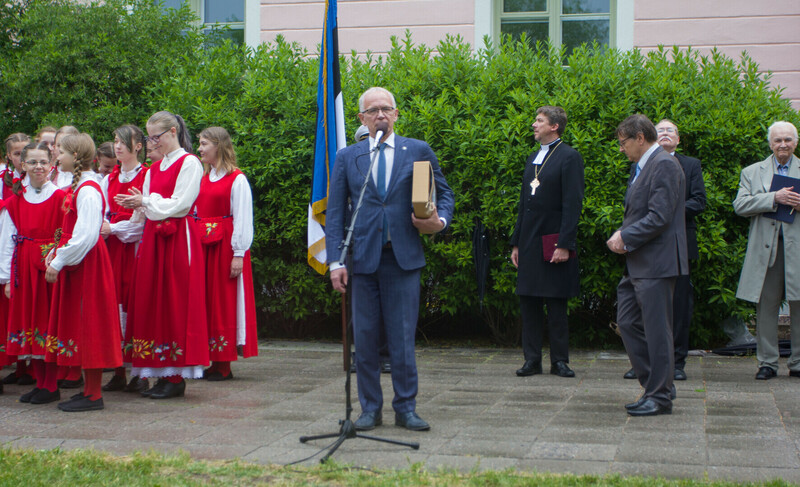 The original flag to be consecrated 134 years ago was secretly buried in the base of a chimney on the Kõola village farm of then-EÜS president Karl Aun following Estonia's occupation in 1940, only to be retrieved a few months after Estonian independence was restored in August 1991. 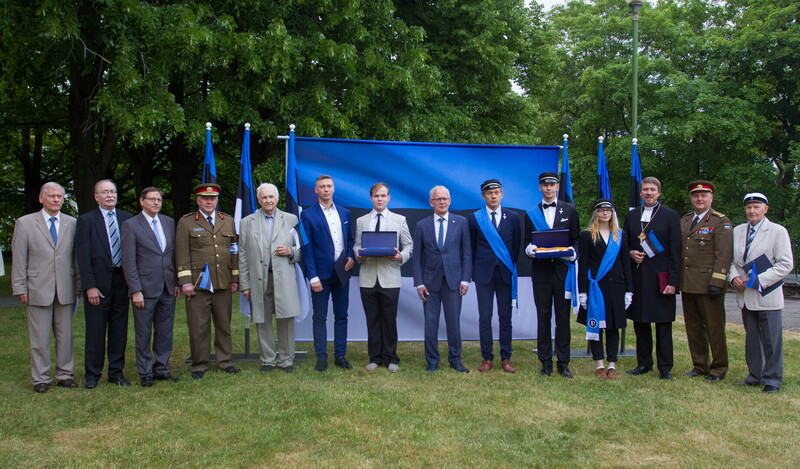 With the permission of EÜS, which retains ownership, the tricolor is now on permanent display at the Estonian National Museum (ERM) in Tartu, where it has been since the museum's opening in October 2016. 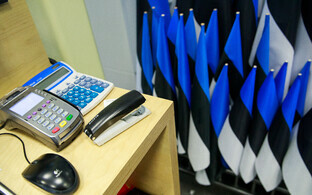 Flag Day was first made a day of national significance by the Riigikogu in 2004. 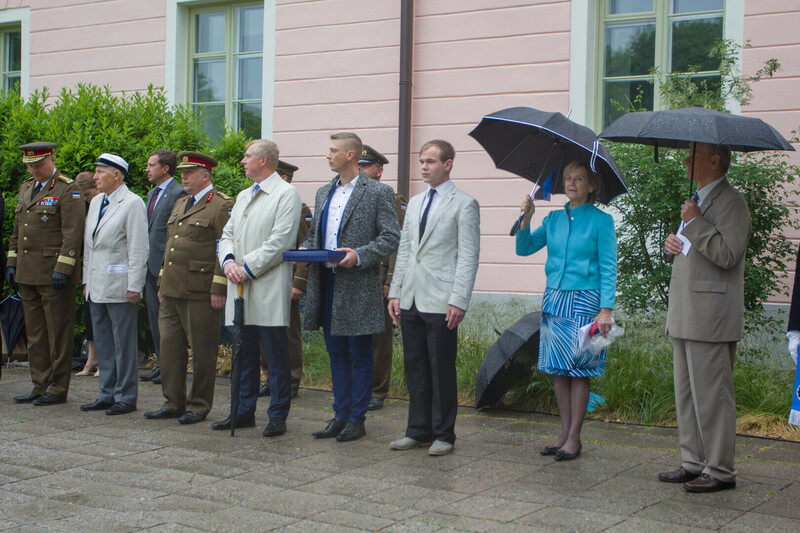 A video of the ceremony (in Estonian) is available here.